We are a multidisciplinary team with proven capacity and experience that is endorsed by our clients. The core of our management team has been linked to G-advisory since its foundation. Antonio Baena is the partner in charge of G-advisory and has a degree in industrial engineering from Universidad Politécnica de Madrid. He is an expert in renewable energies, cogeneration and energy efficiency, environment, waste treatment, the integrated water cycle and climate change and specializes in providing technical and business advice on transactions involving the sale, purchase and financing of energy projects and environmental infrastructure. He also has extensive experience in advising on energy regulations and preparing electricity market studies. He has worked on the preparation of climate change strategies and on the design and implementation of policies and measures to reduce emissions, as well as on calculating carbon footprints, emissions trading and the application of clean development mechanisms. Antonio is a member of the Environmental Committee of the Spanish Confederation of Employers’ Organizations and of the Environmental Committee of the Madrid Association of Industrial Engineers. He is also a lecturer on the Master’s Degree in the Energy Business run by the Spanish Energy Club and regularly participates as a speaker in national and international forums. 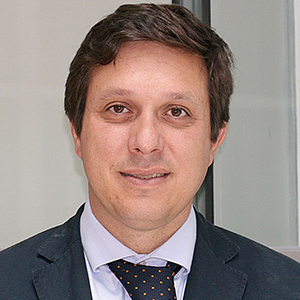 Máximo Martín is a partner at G-advisory and holds a degree in industrial engineering from Universidad Carlos III de Madrid, graduating in 1997. He began his career in 1998, in the area of environmental and quality management at the consultancy firm Arthur Andersen. 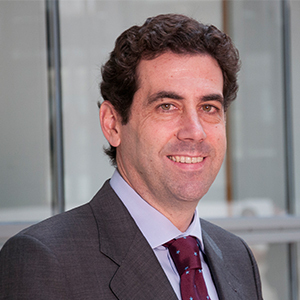 In 2000 he joined Garrigues Medio Ambiente, where he has focused his career on the energy and environmental industry, developing more than 250 projects relating to renewable energies (wind power, photovoltaic solar energy, thermoelectric solar power, hydraulics, biomass, etc. ), conventional energies, cogeneration, energy efficiency, biofuels, waste treatment and the integrated water cycle. He provides advice, essentially from a technical and financial standpoint, to banks, investors, developers and tech firms from the above industries. He has taken part in or headed projects in more than 20 countries. 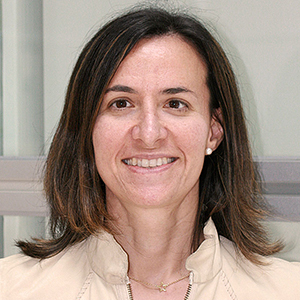 Sofía Lazcano, an industrial engineering graduate from Universidad de Navarra and partner at G-advisory, has been working in the field of energy since 1996, participating in a broad range of projects, taking in everything from renewable energies to biomass, cogeneration and waste. In this area, she has specialized in providing technical advisory services to both financial institutions and developers on technologies such as wind energy, solar power, hydraulics, biomass, etc. She has contributed to projects at a domestic and international level in Europe, Asia and the Americas, and is currently the manager of the G-advisory office in Paris. Elsewhere, she has participated in environmental initiatives on waste, contaminated land, atmospheric emissions, etc. Juan Pablo Pérez is a principal at G-advisory and holds a degree in geology, majoring in hydrogeology, from UCM, a master’s degree in business administration from IE and a degree in law from UNED. From the outset of his professional career back in 1995, he has worked at multinational technical and legal consultancy firms, providing a wide array of services: legal and technical due diligence reviews for the sale and purchase of projects in the water and waste industries, economic analysis of projects and companies, environmental and social audits in compliance with IFC performance standards and the Equator Principles, hydrogeological studies, waste management, valuation of environmental liabilities, environmental responsibility and contaminated land studies. His experience includes work for both the public authorities and private clients in multiple countries: Spain, Portugal, Argentina, Chile, Mexico ..
Beatriz Trocolí Ceballos joined G-Advisory in September 2003 and is currently a Principal. She has a degree in industrial engineering from ICAI and a degree in business administration from UNED. 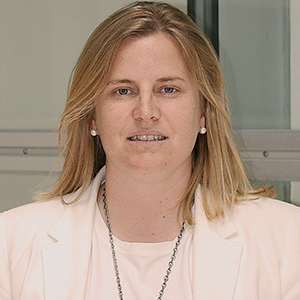 She also holds a masters’ degree in corporate finance from Centro de Estudios Garrigues. She has extensive experience in the areas of energy and waste, providing technical and economic advice on asset valuations, the analysis of the technical and economic viability of projects, on processes for the sale and purchase and financing of energy and waste projects and on the negotiation and drafting of construction, operation, maintenance and management contracts. She has also appeared as an expert in numerous court proceedings, giving independent assessments on economic and technical matters in the field of energy. 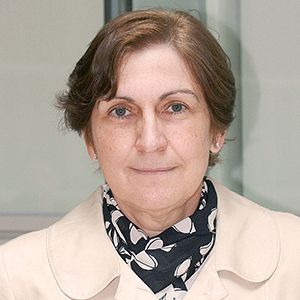 María Dolores Moreno is a senior associate at G-advisory, with a Doctorate in Chemistry and Mining Engineering from Universidad de Murcia and a M.Sc. in Toxicology from Rutgers University. She can boast over thirty years’ experience in environmental and energy-related matters, at Spanish and US companies and universities. She has worked on renewable energies, land contamination and reclamation, risk analysis, environmental contamination transportation and transformation modeling, waste water and waste management. She has formed part of multidisciplinary teams providing legal and technical advice to companies on a host of environmental procedures. She has written books and articles in specialist journals and reviews on the subject of the environment and waste and on water management and treatment. 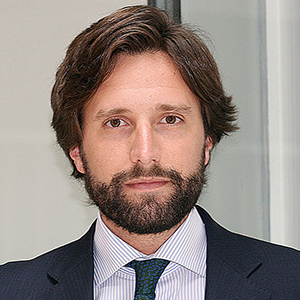 Roberto García Polo is a senior associate at G-advisory and joined the team in 1999 while it was still part of Arthur Andersen, before forming part of the Garrigues Group and being constituted as a separate company. 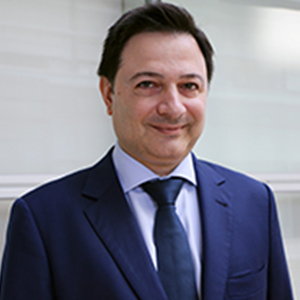 He has a degree in chemistry from Universidad Complutense de Madrid (1999) and is also a qualified expert in the analysis of environmental pollution (1999) and in integral enterprise risk management (ERM) (2015). He has received in-company training in other areas (regulatory compliance, management systems, corporate social responsibility, etc.). In his current position, he advises and assists clients with compliance, sustainability and corporate social responsibility matters. He has led and/or participated in projects for the definition and implementation of strategic and preventive plans in these areas, as well as in due diligence reviews and audits, and in the preparation of methodologies for the analysis of risks based on international best practices. 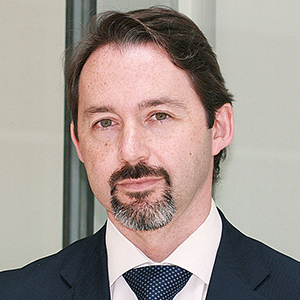 He is a member of Garrigues’ compliance, corporate governance and corporate social responsibility teams. 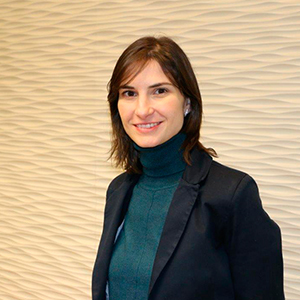 Laura Santiago has a degree in forest engineering from Universidad Politécnica de Madrid and is a senior associate at G-advisory, after joining in 2000. She advises clients on sustainability matters and on the management of legal, environmental and social risks. 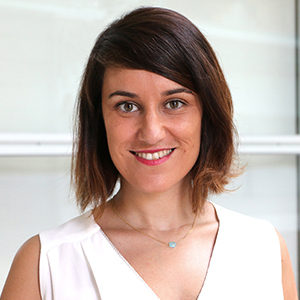 In recent years she has specialized in the design and implementation of compliance risk prevention plans, forming part of Garrigues’ multidisciplinary team in the area of criminal compliance risk management. She has also advised clients on responsible purchasing and procurement projects for companies and public authorities. In the area of strategic planning, she has participated in the development of environmental strategies and methodologies for environmental assessment. Belén González is Senior Associate in G-advisory and holds a degree in Mining Engineering from Universidad Politécnica de Madrid. With over 10 years’ experience in the energy sector, she has specialized in renewable energies, providing technical and economic advice to financial institutions, investors and sponsors, mainly in the frame of financing, refinancing and purchase and sale operations of renewable energy assets, with technologies such as wind, solar PV and CPV, CSP, biomass and small hydro. She has also participated in conventional energy, cogeneration, energy efficiency and waste treatment projects. Along her professional career, she has acquired a broad international experience, participating in projects for clients not only in Spain, but also in other countries in Europe, Asia, the Americas and Oceania. Since 2011, she works in the offices of G-advisory in Paris and in Madrid. Juan Cruzate is a senior associate at G-advisory and holds a degree in industrial engineering from Universidad de Salamanca. He also holds a masters’ degree in corporate finance from Centro de Estudios Garrigues. He began his career in the energy area of G-advisory in 2008. Since then, he has provided technical and economic advice to financial institutions and investors in the context of the financing and acquisition of energy assets based on a range of technologies, including wind, photovoltaic, CSP, mini-hydroelectric, cogeneration and combined cycle. He has also worked on projects relating to the treatment of waste or the integrated water cycle. He also specializes in advising on economic matters, carrying out asset valuations and analyzing the viability of energy projects. He has participated in both national and international projects, principally in Latin America, as well as in Europe, Asia and Africa. 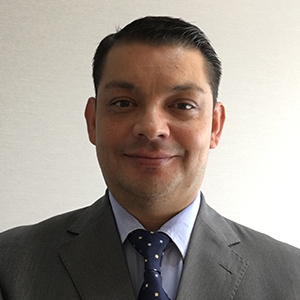 Since 2016 he has been Country Manager of the G-advisory office in Santiago de Chile, which offers services to countries in the Southern Cone region. 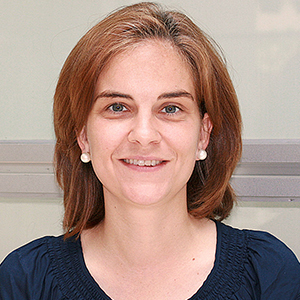 Guiomar Rubio is a senior associate at G-advisory and holds a degree in chemical engineering from UCLM and a master’s degree in renewable energies from EOI. Since joining the firm in 2007, she has gained experience in all areas of environmental consulting, specializing in renewable energy, biomass, cogeneration and waste projects. She has also worked on projects relating to the integrated water cycle. She has provided advisory services on numerous processes for the sale, purchase and financing of renewable energy, biomass, cogeneration, waste and integrated water cycle projects. Gilbert González is a senior associate and country manager of the G-advisory office in Mexico. He has a degree in chemical engineering from Universidad La Salle AC and is qualified in cogeneration and project management. He has 20 years’ experience in executing conventional and renewable energy projects, as well as in industrial water treatment plant projects. His experience as engineering manager and business developer has given him an in-depth understanding and knowledge of all areas of project execution (planning, finance, acquisitions, logistics, normativity, regulations, construction and start-up) and a complete view of the phases of project development, as well as broad knowledge of the country’s energy sector.